This is just great, there’s no way around it. 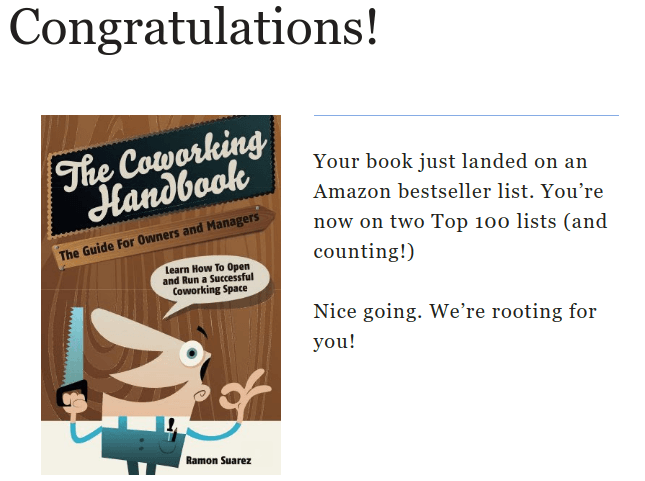 With your support The Coworking Handbook keeps on climbing the charts and getting awesome reviews. 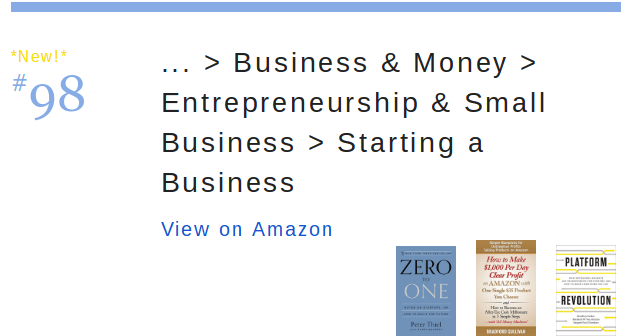 It is not yet very high nand it is a minor list, but it is making it :) The Coworking Handbook is now number 98 in the top 100 Starting a business list.